Decorating, Pre-Planning, Pen to Paper & Everything in Between! Hey babes! Erica Canant here, and Iâ€™m going to share my planning process with you. ðŸ¤˜ðŸ�½ Now, while I do deviate every now and then from â€œthe processâ€� (what planner babe doesn't? ), this process has helped me plan our STAYCATION this past July, just right! First up, I sticky-note ALL THE THINGS. I am not one to decorate my 'MONTHLY'. 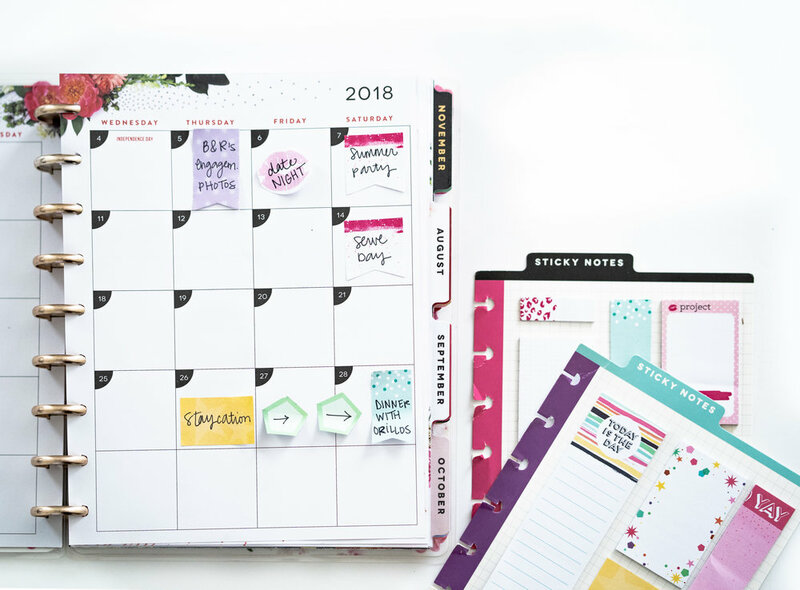 In fact, I find it more helpful to be functional and use The Happy PlannerÂ® STICKY NOTES to jot down the month's events and place them all over. That way, if anything needs to move it's as simple as moving a sticky. This also allows me to look ahead and see if any certain event or holiday sparks creative juices for how I want to decorate a week, because I DEFINITELY decorate my weekly view. For this spread in my CLASSIC Magic Blooms Happy PlannerÂ®ï¸�, I used the Glam Girl and Trendsetter Sticky Notes. Next up, I decorate my 'WEEKLY.' I usually work with WASHI TAPE first, followed by STICKERS. But, everything is usually inspired by one specific sticker. Yes, ONE. For this spread, I was inspired by the letters in the 'STUDENT ICONS' Value Pack Sticker Pack. I knew I wanted to lay out the word â€œSTAYCATIONâ€� with the beautiful palm letters! After I decorate, I bust out the STICKY NOTES again. I write down things I need to buy, grocery lists, events, parties, reminders, and the list goes on. 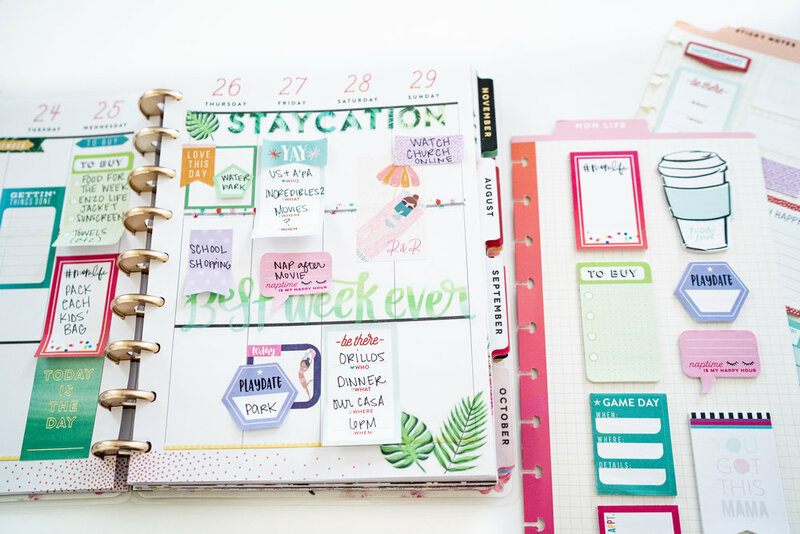 The STICKY NOTES I used in this weekly spread included, Mom Life, Be There, and Trendsetter. After I place them all over, I write! Is writing in your Happy PlannerÂ® as terrifying to anyone else as it is to me? I literally could stare at most of my #BEFOREthePEN's for hours, but cringe when it comes to writing on my "masterpiece". I actually cannot stand my own handwriting. I feel like I destroy my spread when it comes time to removing the sticky notes and committing pen to paper. But, I get over myself and do it anyways. Writing it twiceâ€”once on a sticky and once on the actual planner, helps everything stick that much more! Once I have everything planned (even though some things need to be filled in later), I felt like I can relax a little bit more. I remember things I need to buy, I know what to save for ahead of time, and it simply puts me at ease. If you're anything like me, planning is a release. As someone who suffers from anxiety, when I get to plan ahead, I breathe better and feel a lot less anxious. I know that plans may change and that I can't control anything, but it still brings relief. 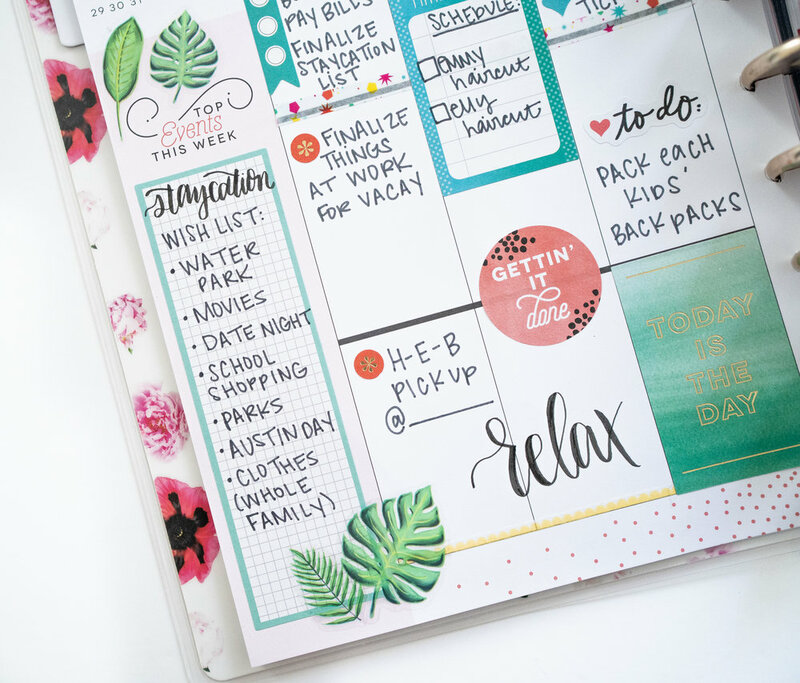 Whether you have a planning process or not, I think we can all say that The Happy PlannerÂ® gives us the opportunity to customize and roll with just about any process that works with us so that we can Live CreativelyÂ® and Plan a Happy Lifeâ„¢! How do you plan? Do you have a process? Feeling inspired? 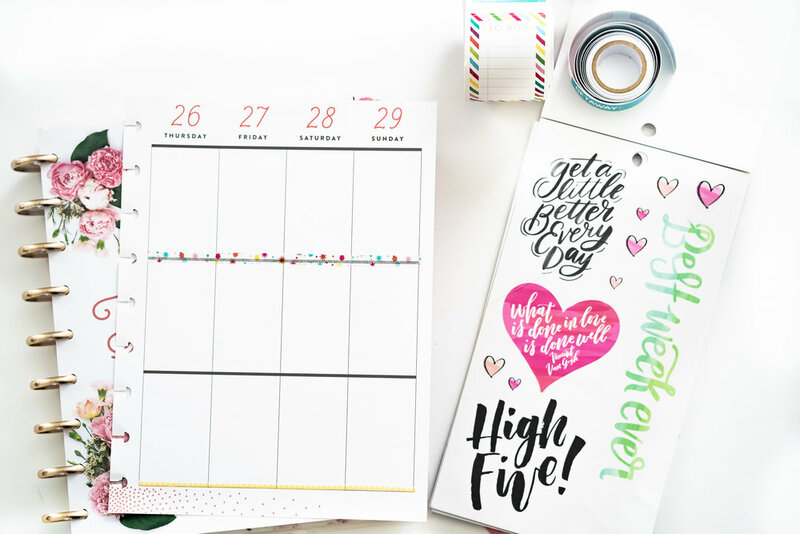 Head over to Instagram and give Erica (@ericacanant) a FOLLOW to keep up with all her Happy PlannerÂ® creations!